Khloe Kardashian and Tristan Thompson have discussed getting married and starting a family. The 'Keeping Up With The Kardashians' star and her basketball player beau are completely smitten with each other and friends believe it won't be long before they take their relationship to the next level. A source told PEOPLE: "They have talked about both a wedding and a baby. Khloe really wants a baby. She hopes it will happen soon. "She is very happy and positive about her future and is absolutely hoping for an engagement." Khloe discussed her baby plans on the season finale of 'Keeping Up With The Kardashians', saying: "Tristan and I definitely talk about starting a family. He wants to have about five or six kids with me and that's lovely. We could start at one and we could grow from there." 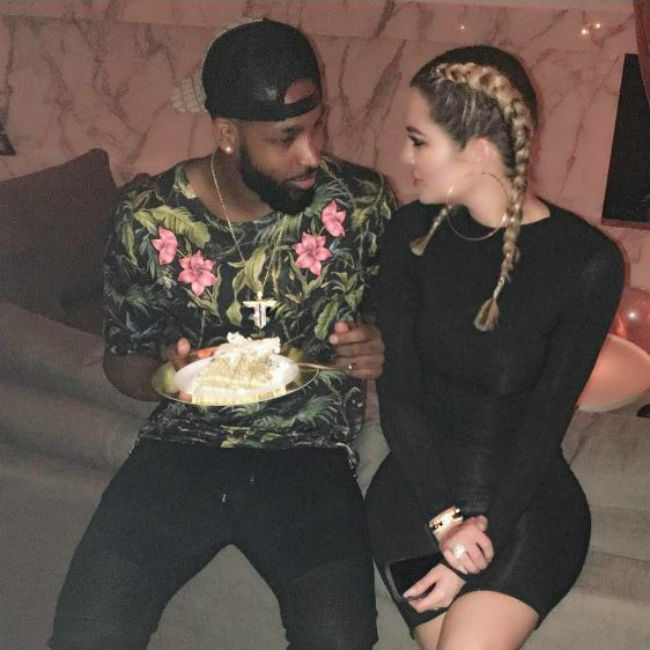 Meanwhile, Khloe's best friend Malika Haqq recently gushed about how happy Tristan, 26, makes Khloe, 32. She said: "I am so happy for Khloe and Tristan. They're a match. They're great friends. Their relationship is incredibly effortless. It's what you want to be. The sky's the limit to me when it comes to their relationship. They can do anything as long as they stay exactly the way they are right now." And Malika has noticed a big difference between this relationship compared to Khloe's previous romances - including her marriage to Lamar Odom from 2009 to their separation in 2013 and divorce in 2016 - as the pair have the "same morals and goals" in life. She added: "Tristan's a very grounded, sound human being that comes from a great family. I love his mother, by the way! Sometimes you see other people come from similar backgrounds that might work a little more closely to the way you were raised or the way you do things. Morals and boundaries and all those things are really important and I think that they have a lot of the same morals and goals in life. I think that's why their relationship is successful."